It’s hard to imagine a time when the concrete jungle we know of as Brooklyn had some pastoral charm. But Ryan Paonessa‘s submission to Beer Is Culture offers a glimpse at this past, when German settlers laid down factories and spread their cultural heritage of… beer. We applaud this submission for the many layers of story and texture woven into a striking design, all sealed with a neighborly handshake. What else does Ryan have to say about it? Let’s meet the designer. RP: I learned what not to do during a brief stint at FIT. Mainly self-taught. RP: My goals in life and in my work: organization, simplicity, balance, authenticity, and usefulness. RP: If the world was ending I’d spend my last buck on a lucy (or maybe two). 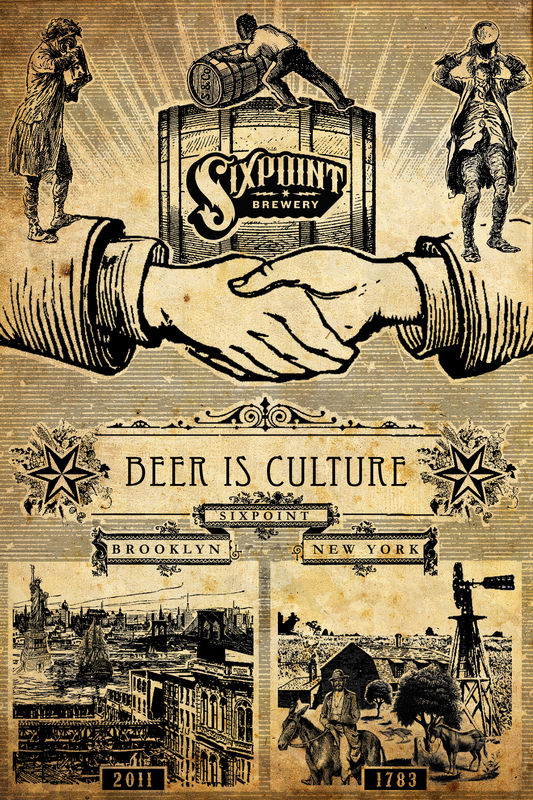 RP: “Beer Is Culture” because since when the good stuff was first created it was vital for trade, prayer, and communication. Without beer, some cultures may have never existed (supposedly).